In many ways, corrosion is metal's way of decaying. For example, after being exposed to harsh elements for so long, steel surfaces give in to the environment and begin to weaken. There’s nothing pretty about corrosion, which is why steel painting is necessary for metal sustainability. Luckily, the painting contractors at ProCoat Painting of Batavia, OH, know just how important metal roof paint is when it comes to protecting your roof and other surfaces. Uniform Attack Corrosion Ruins Roofs: Also known as uniform corrosion, this form of degradation takes on a patterned appearance when it’s in full effect. The metal surface must be exposed for uniform attack corrosion to change the molecular structure of steel. Such decay will not affect surfaces protected by barriers like metal roof paint. Pitting Is A Problem: Another form of degradation, pitting begins as a microscopic problem. You may see a speck of rust one day and think there's no real problem. Left untreated, however, pitting can drive a hole through metal that leads to even more corrosion. The result is a destroyed surface that must be discarded. Prevention Is Key: It’s never a good idea to wait for corrosion to start its brutal process before you decide to do something about the problem. 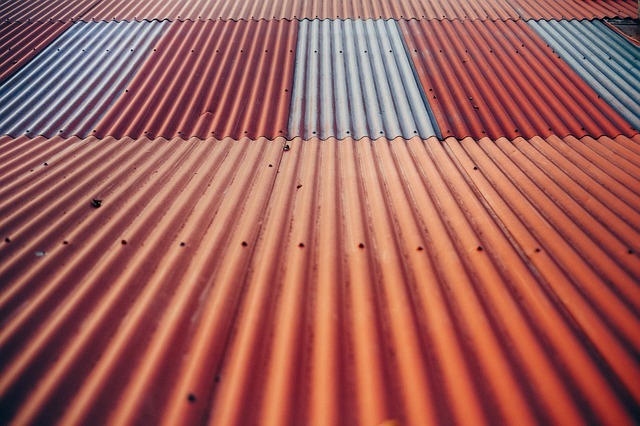 Metal roof paint and commercial paint both have primers and other ingredients that form a barrier between the environment and a surface, keeping surfaces pristine for years to come. Metal Roof Paint Saves Money: Many businesses choose steel painting because of its ability to make structures last longer. This is especially true when the building is located in an area prone to tumultuous weather. Owners of such properties save thousands on repairs by investing in steel painting before their properties are exposed to the elements. Protecting against corrosion is the only way to both save money and ensure metal longevity. When you’re ready to protect your metal roof, call ProCoat Painting in Batavia, OH, at (513) 735-2500 or visit their website to get in touch today.